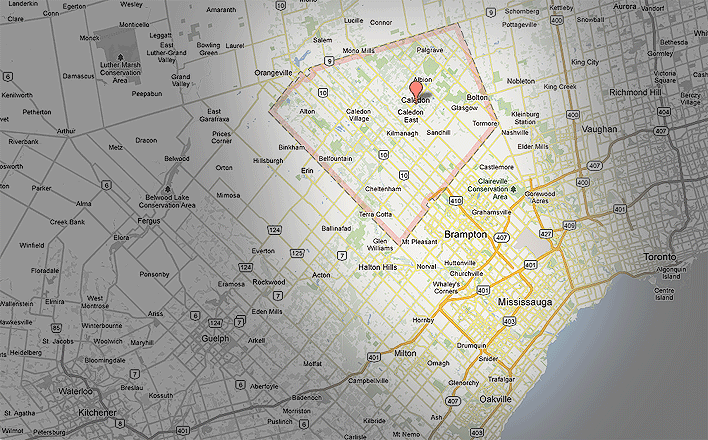 Cedar Creek Contracting is a Caledon Landscaping Company with over 25 years of landscape design build experience. If you are looking for a professional landscaper or landscape contractor for your residential landscape or commercial landscape projects then give us a call. Click any menu above to enjoy our landscape pictures. 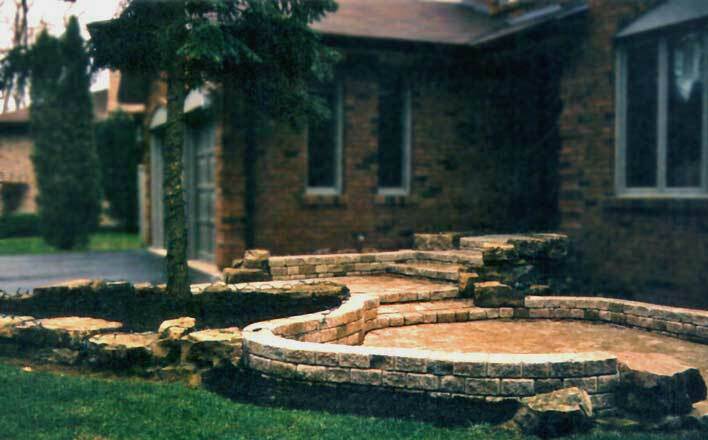 Hardscape consists of the inanimate elements of your landscape architecture, especially any masonry work. 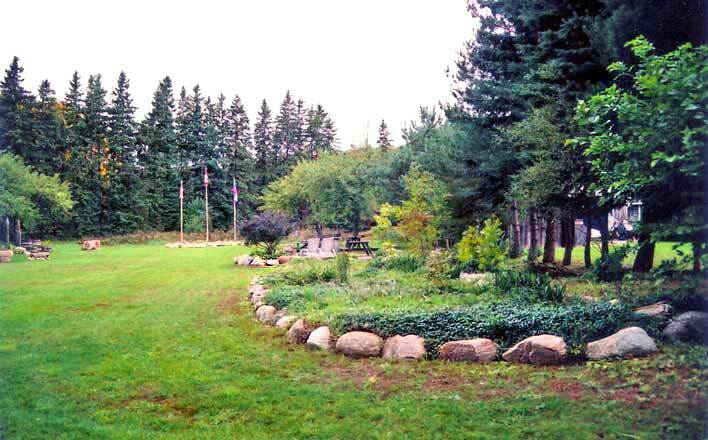 Landscaping with stone: Garden Edging, Garden Accents, Driveway Borders & all Stone Landscape Construction. Stone walls, concrete or brick patios, flagstone pathways, wooden decks & wooden arbors would all be considered part of the hardscape. We have presented both Fencing & Decks & Outdoor Carpentry on other pages of our website for clarity, although by definition these are hardscape elements. Cedar Creek Contracting Residential Landscape Construction Services range from Design, Installation & Repairs of Hardscape Elements such as: Interlock, Flagstone, Retaining Walls, Steps & Concrete Installation. 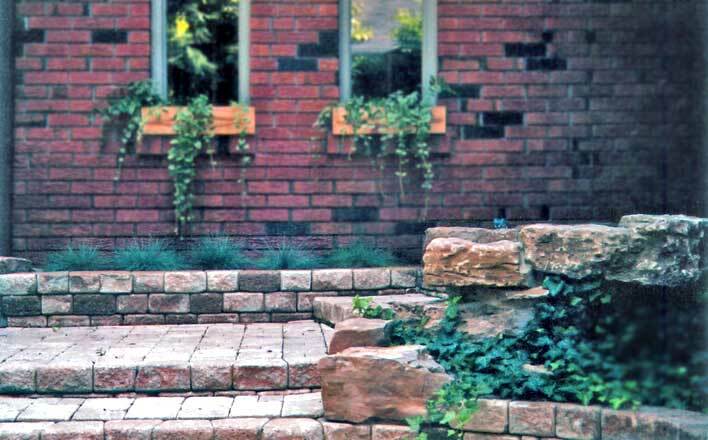 Retaining wall is one feature within a landscape plan that takes on a double duty. First it can improve the appearance of a property by becoming a dramatic landscape feature & second it can remedy a problem area of a landscape into now usable space within the landscape design. Flagstone comes in two basic types, natural flagstone & manufactured or Engineered flagstone. Natural flagstone is quarried & comes in various colors & thicknesses. Their are two basic shapes, irregular & square cut. Manufactured flagstone is also available in the two basic shapes however its uniform shape & thickness reduce the installation difficulties therefore making for a quicker installation. 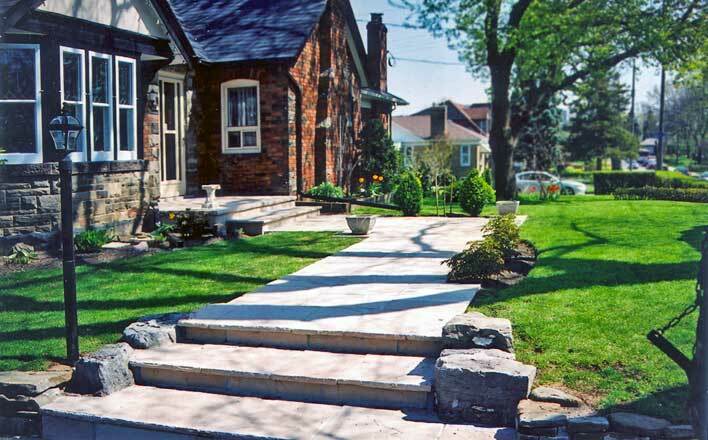 Flagstone can be mortared to a concrete slab & can also be laid on grade like interlock pavers. 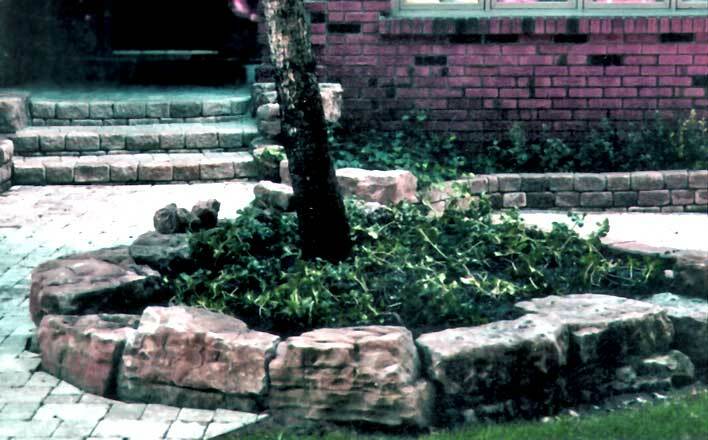 Concrete within in landscape project is used for structural purposes such as footings for a retaining wall, slab under a hot tub, flagstone installation, deck foundations, fence post installation, walkway, porch & patios areas just to name a few uses. Cedar Creek Contracting are the experts in the field of Hardscape Construction. Give us a call today. 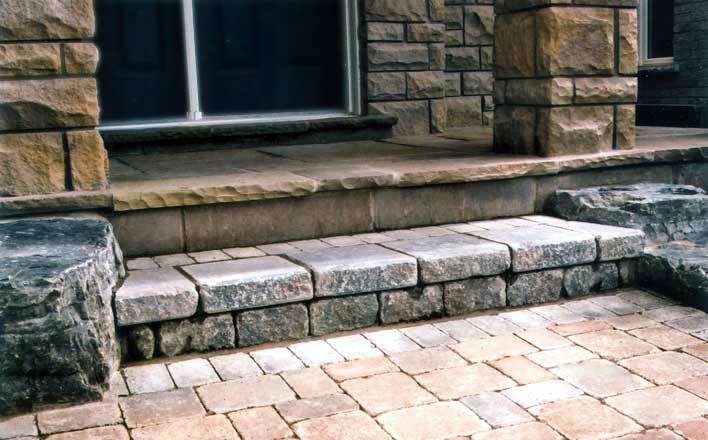 Interlocking stonework for your front entrance, front entry way, side walkways, back yard patio, raised porch, raised patio, pool deck area & garden shed patio. Retaining wall installation for your walk out basement, pool deck area, window wells, walkway entrance, raised porch, raised patio, dwelling side & or rear yard grade retention, septic tank access hatches, side driveway grade retention, raised garden bed & for water drainage control. Flagstone work for your front porch, back yard patio, front entrance walkway, side dwelling walkway, garden pathway, pool deck area & edged gardens. Pool coping, sculpted stone or concrete paves brought to your pool water's edge. New installation or repairs. Patio installation for entertaining & relaxing. Natural stonework for your garden walls, side restraints for steps, walkway entrance, driveway boarders, fire pit & garden accents. Interior & exterior stonework for fire places, decorative walls & man caves. Rustic Cottage wall repairs. Century Home & Castle re-construction. More information can be found in the General Contracting page of our website. Concrete pad installation for your garage, work shop, garden shed, potting shed, conservatory, greenhouse, pool cabana, hot tub & flagstone floors. 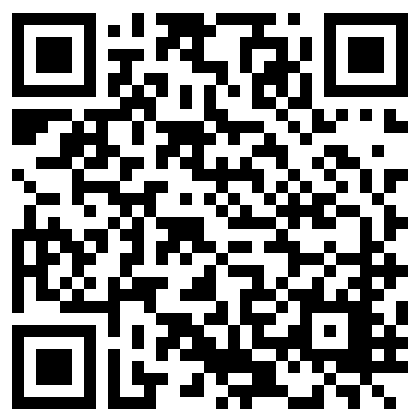 More information can be found in the General Contracting page of our website.